Pastor Robert Ssesanga is a man that knows the Holy Spirit intimately. He has a powerful anointing in the healing ministry and his rallies are always packed and accompanied by signs and wonders. More than healing rallies, however, those meetings are also saturated with a tangible presence of the Holy Spirit, so much so that they are revival meetings by themselves. So that when Pastor Ssesanga writes a book about the Holy Spirit, you know that he is writing from a deep understanding of who the Spirit is, and from years of familiarity of walking with Him. In the preface to his book on the Holy Spirit, Robert Ssesanga shares honestly about his early years; that he used to seek earnestly for the power from the Holy Spirit but without understanding. 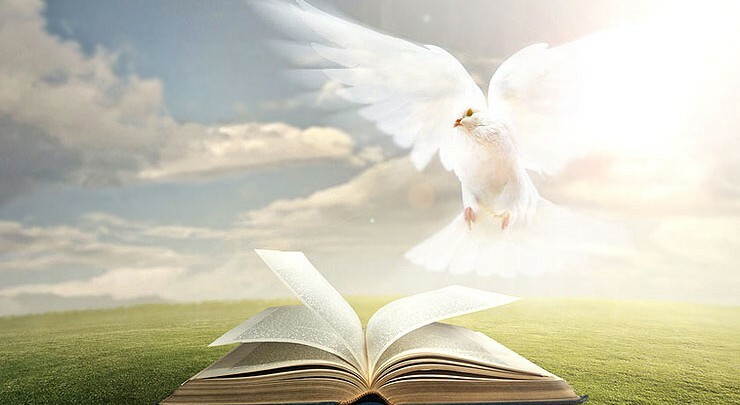 Just as the day of Pentecost when onlookers thought the disciples were behaving drunk when they were filled with the Holy Spirit, many still misunderstand His manifestations among God’s children today. To some, everything about Him is weird, or they will say the church has made Him appear so. He points out that many terms have been coined within the body of Christ to describe how certain groups and denominations, understand Him or rather, misunderstand His operations. For example, we have the ‘Pentecostals’, who believe in His infilling and operations, the ‘Charismatic’ who believe His power gifts, and the ‘Third Wave’, which is a move for revival. And we have yet to mention the ‘Cessationists’ who believe that the manifestations of the Spirit’s gifts ceased after Pentecost, and the ‘Continualists’ who believe He is still in action to date. Robert entreats us not to focus on the understanding of men but to look in the Bible. ‘The Holy Spirit’ was written by Robert Ssesanga with every group of Christian in mind, regardless of faith level, denomination, or culture. He points out that firstly, we have to understand who the Spirit is. In the very first verses of the Bible, in Genesis 1:1-3, we read of God’s Spirit hovering over the water. This meant that the Holy Spirit was there at the very beginning, even before Creation, and not just dating from the Early Church. The Holy Spirit is not junior or a servant to Jesus, but co-equal with the Father and the Son. The three are distinctive in Their dispensation, yet They all work together. Many times, Christians misunderstand the Spirit as a sort of cosmic force. In reality, He is not a passive power, like what you see in Star Wars. He is not an invention of fiery men or an imagination by Bible fanatics; He is God (Page 16). Robert Ssesanga at one of the Malaysian healing rallies early this year. With the understanding who He is, comes the realization that we cannot do without Him. Robert writes; if we stay ignorant about the Spirit and His operations in the world today, we deny ourselves of a full life with God and a life of unlimited possibilities. It is clear that the Holy Spirit enables Christians to function in a full life, and in a complete way, within the plans of God. How do we know this? Because God tells us this through His word, and Pastor Robert provides Scriptures to verify this. Robert’s book is divided into 9 chapters, each dedicated to a separate aspect of the knowledge of the Holy Spirit, making the book a comprehensive one. For example, in the next chapter, Robert writes about the Holy Spirit’s distinctive dispensation, and how it differs from that of the Father and the Son. Many practical aspects like the infilling, fellowship, empowerment, leading, and interrelation between the Spirit and Salvation are discussed extensively. Each of the 9 gifts are explained in detail, and at the end of the chapter Robert outlines the importance of the Spiritual gifts and how, collectively, they benefit the Christian in the three main areas of Edification, Exhortation, and Comfort. Robert does not shirk from controversial issues like Speaking in Tongues, explaining and giving them a proper context within the Christian faith. He writes; ‘[it is true] that there have been excesses in the operations of the Spirit’s gifts and probably confusing manifestations to some, but that is not reason to relegate the Spirit’s relevance to fanaticism. Excesses will always be there in all aspects of our Christianity, but our reference is not experience but the infallible word of God. Likewise ignorance and inexperience do not justify irrelevance’. In the epilogue of the book, Robert makes a compellingly resounding case for the exercise of the gifts of the Spirit, and for the centrality of the Holy Spirit’s role in the lives of Christians. When Jesus said in John 14:12 that it was advantageous that He left, He was talking about the impact we’re going to make in this world through the enabling of the Holy Spirit. As Robert writes; ‘Because of who the Holy Spirit is, we can do what Christ did and even greater things. The Holy Spirit cannot be ignored nor His power downplayed in our days. Any serious Bible-believing Christian needs to read only 2 books – John and Acts, and they will see the reality of the divinity of the Holy Spirit. To ignore His presence and power is to ignore the essence of Christianity today’ (Page 134). Lord, Give Me Another Life! – Pastor Jani, Gereja Baptis Hosana, Keningau.